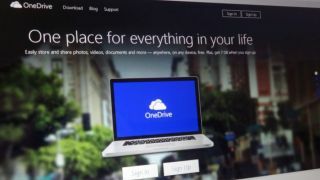 Since Microsoft has been under the stewardship of Satya Nadella, the software giant has been embracing Linux in various different ways – ‘new Microsoft, new attitude’, as we observed a year ago – but not when it comes to OneDrive, it would seem. As the Register reports, there are a good number of users complaining about the poor performance of the OneDrive web app on their Linux machines (or other non-Windows platforms like Chromebooks). The interesting point here is that when using a Windows PC on the exact same connection with the OneDrive app, everything runs smooth and fast. And the plot gets thicker, as these Linux users have observed that changing the browser’s user-agent string (the text a browser sends to a site to identify itself) to either Microsoft’s Edge or IE speeds the OneDrive web experience up to a fluid level on a Linux (or Chrome OS) system. Hence there have been accusations of Microsoft deliberately throwing a spanner in the works for those non-Windows folks trying to use its cloud storage locker on the web. Unsurprisingly, Microsoft wouldn’t be drawn to officially comment on the matter. The Register suggests that all this might be a result of Microsoft simply being very lazy about checking said user-agent string in order to see which version of code should be served to the user’s browser, and not having a supported version for common browsers like Chrome or Firefox on Linux. That being the case, it would be good to see Microsoft implement a fix for those suffering when using OneDrive on Linux or other alternative operating systems.